While Trump hasn’t said much specifically about tech policy, the GOP platform does, believe it or not, have a tech section. There’s plenty to like, plenty to dislike, and plenty to scratch your head at. Is Obama really throwing the Internet to the wolves? Has the GOP changed its mind about net neutrality? Can encryption be both good and bad at the same time? 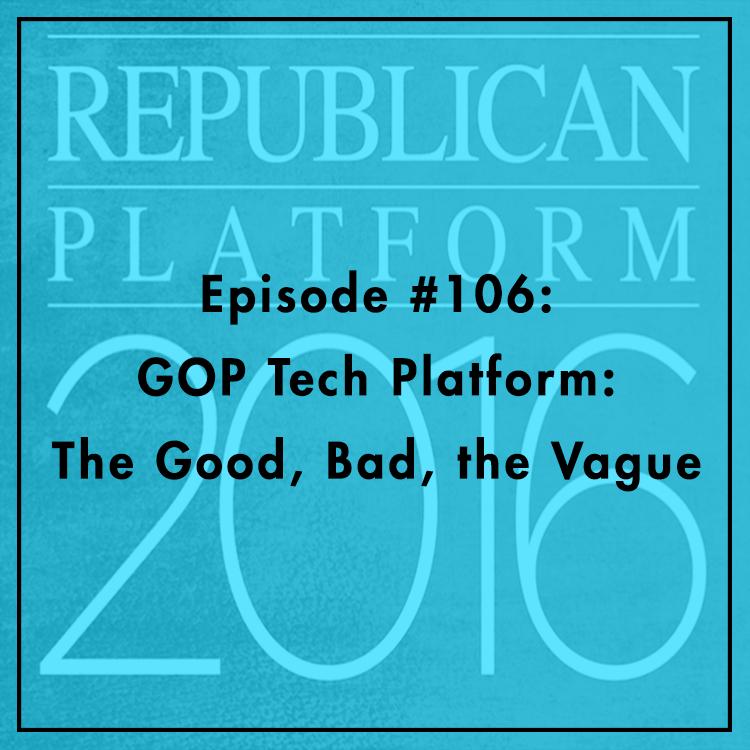 Without further ado, here’s TechFreedom’s guide to the 2016 GOP Tech Platform. For more, see here.